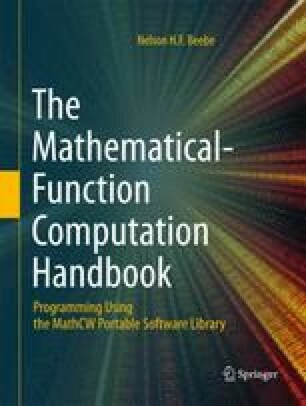 The simplest of the elementary functions are those that compute roots of numbers. They are most easily calculated by a combination of argument range reduction, polynomial approximation to get an accurate starting value, and a rapidly convergent iterative solution. Some computer architectures include an instruction to compute the square root, because the required circuits can often be shared with those of the divide instruction. — Shakespeare’s C ymbeline (about 1611). The root of any quantity is such a quantity as, when multiplied by itself a certain number of times, will exactly produce that quantity. The character marking the root is √ (a modification of r for radix , which has been used probably since the middle of the sixteenth century).